Main Dishes Archives - Page 2 of 10 - What's In The Pan? 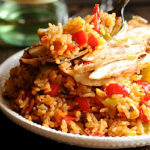 If you are looking for a nice variety of pasta, rice and meat recipes, you came to the right place internet friends! 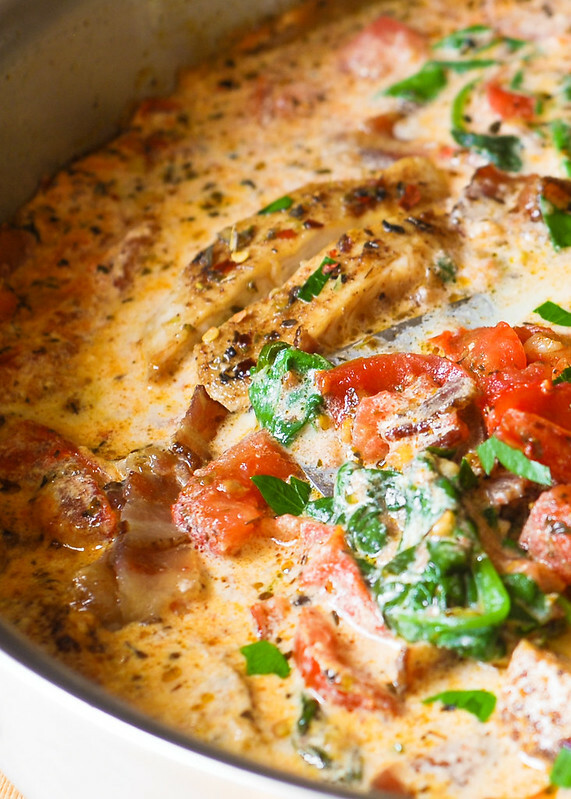 Browse below, or check out some of my favorites: Italian Chicken Pasta, Creamy Chicken Pasta with Bacon and Chicken Lazone. 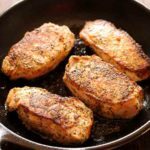 Are you in a search for a perfectly pan-seared pork chop that is still slightly pink in the center? Or, do you hate pork because it’s always overcooked and dry? In this post I will walk you through the process of how to fry a mouth-watering pork chop to golden perfection. These pan-fried pork chops truly have more flavor that you will ever guess. It’s a guaranteed way to make sure that every single bite of pork chop disappears from your plate. This basic recipe is living proof that a few simple ingredients can create amazing results in the kitchen. I’ll walk you through best pork chop cuts, pork chop basics and how to achieve that perfect sear. Perfectly cooked pork chop is always cooked to a nice medium instead of the shoe leather texture and is pinkish inside. 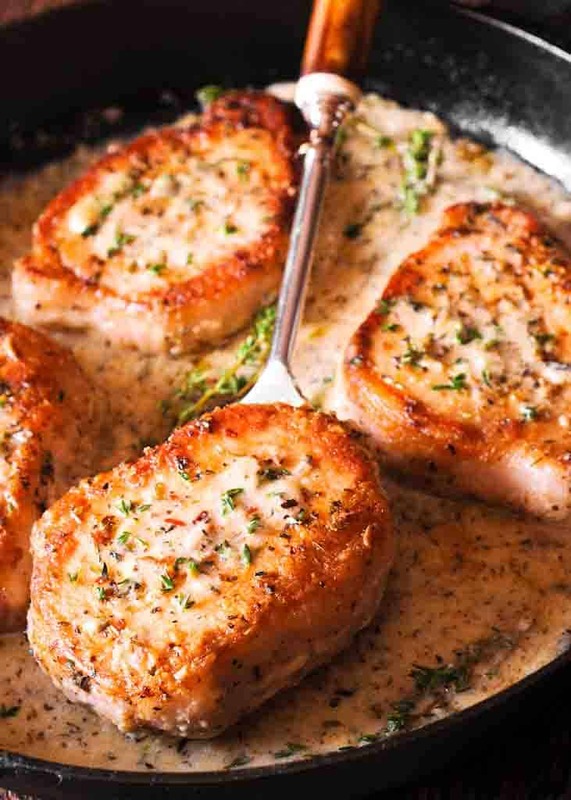 Boneless pork chops are excellent for searing because they are thick and tender. You can also use loin chops because they are leaner than center cut chops. Center cut, bone-in chops work as well. They are also very lean. Either boneless or bone-in pork chops will do. I prefer the thick cut pork chops because they are easier to work with:). The lack of bone also means that they can be less flavorful, while the lack of fat can create a dry texture and it’s often recommended that you brine them prior to searing. However, I personally find that I don’t plan my meals very well ahead of time in order to brine them. Instead, I prefer to follow these tips and tricks on how to sear a perfect pork chop. Take your pork chops out of the fridge and let your them rest for 20 minutes on the counter before cooking them so they come to room temperature. This will ensure they cook on the inside and the center reaches the perfect temperature. Generously season your pork chops because pork chop crust is important for flavor. Being liberal with seasoning this will make for a delicious and flavorful pork chop crust. To properly cook the pork chops, use a meat thermometer to check the internal temperature, don’t rely blindly on cooking time. 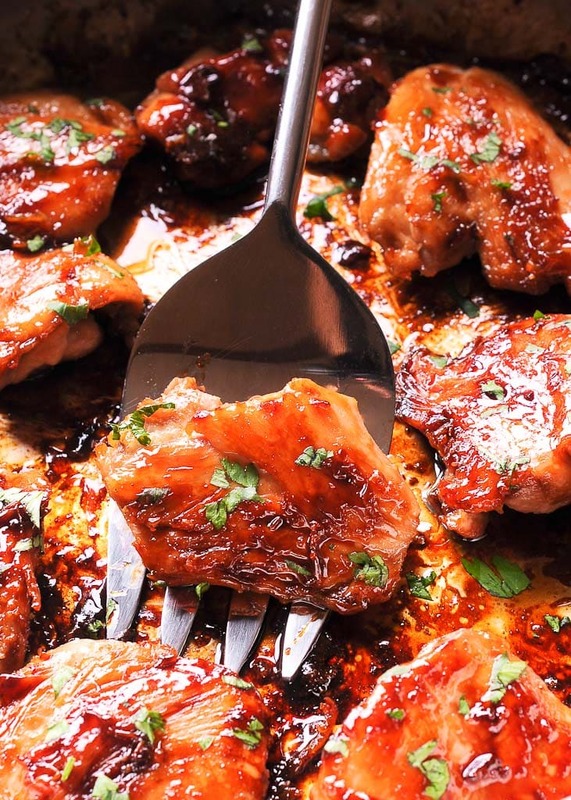 Let the pork chops rest on a plate for 10 minutes – they will continue to cook and the residual heat will bring them to the recommended 145 F degrees. Cooking time can vary based on the thickness of the pork chops. Start by patting your chops dry and sprinkling them very liberally with Italian seasoning, salt and pepper. Use a cast iron for a nice, golden sear. It conducts heat the best and will give the pork chops a nice even color. Preheat your skillet to medium high and add the olive oil. When it’s shimmering hot and not a moment before, add your chops. Sear over medium-high heat without moving the pork chop. Resist the urge to move the pork chops around or look underneath as they cook, it will disrupt the sear. Once the pork chops are golden brown on the first side, you can flip. Do not sear more than 5 minutes. If the pork chops are stuck to the pan, try giving them more time. They generally release from the pan when they’re crisp on the outside and ready to flip. This takes about 4 minutes per side. Flip and sear the other side until browned. Remove them from the heat and let them rest for a few minutes before cutting into them. Not sure how to tell how done a chop is? The pros do it by feel and a steak or chop cooked medium should have a slight resistance when you press on it with your finger but not feel hard and solid. The easiest way to check if the pork chop is done is to use meat thermometer. When they reach an internal temperature of 135 F degrees they are done. Remove them from the skillet and let them rest on a plate for 10 minutes, during which time they will continue cooking with the residual heat and will eventually reach 145 F degrees. Do remember that cooking time can vary based on the thickness of the pork chops. Learn how to cook a pork chop to perfection! Pat chops dry with the paper towel and sprinkle them very generously with Italian seasoning, salt and pepper. Heat your skillet to medium high and add the olive oil. When it's shimmering hot and not a moment before, add your chops. Sear on one side, without moving them at all, until they are nice and golden brown on the first side, about 3-5 minutes. Flip and sear the other side until browned. The easiest way to check if the pork chop is done is to use meat thermometer. When they reach an internal temperature of 135 F degrees they are done. Remove them from the skillet and let them rest on a plate for 10 minutes, during which time they will continue cooking with the residual heat and will eventually reach 145 F degrees. Do remember that cooking time can vary based on the thickness of the pork chops. 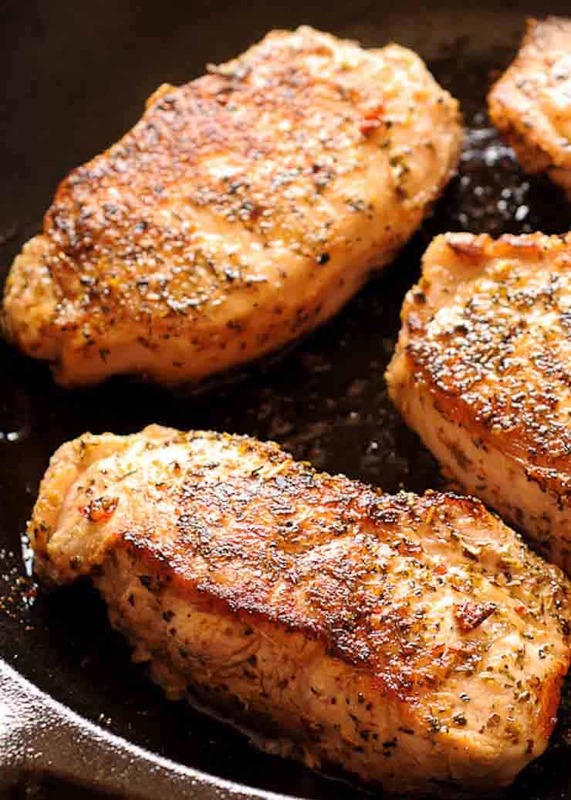 Pork Chops is the perfect cooking protein whether you are cooking for yourself or company. Today I’m bringing you 10 best pork chop recipes that are quick and easy to make! 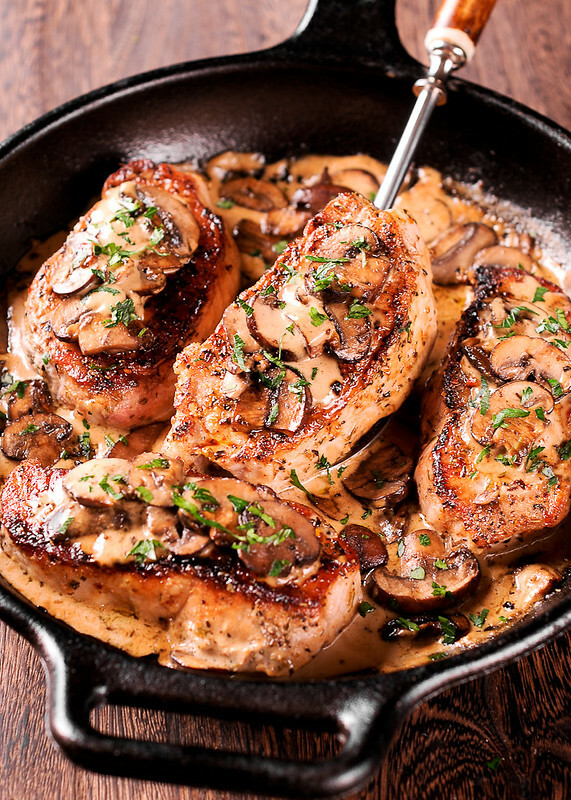 From the most delicious pork chops smothered in bacon and mushrooms to the most popular boneless pork chop recipes cooked in herb & wine sauce, you will find yourself in pork chop heaven! Pork chops are often challenging to cook because of their reputation for being dry and bland, but that is not the case with these 10 most delicious pork chop recipes. Here you’ll be cooking up juicy, tender, flavorful chops in no time. 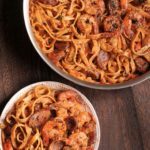 And just to offset all this protein, how about 10 Most Popular Pasta Recipes as well! 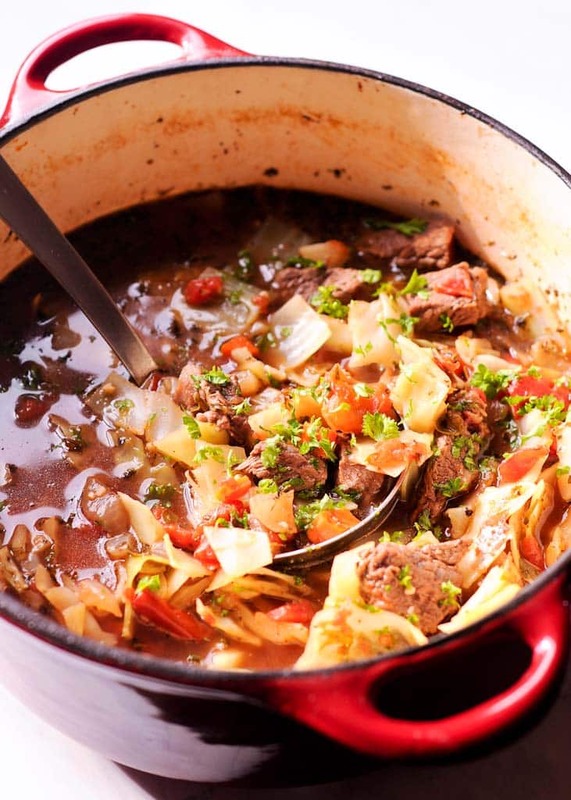 Homemade Cabbage and Beef Soup is the ultimate comfort food! Easy to make and packed with flavor, it’s filled with chunks of fall apart beef, carrots, tomatoes, and generous amount of spices and herbs. This hearty soup takes 35 minutes to cook and is perfect for busy weeknights! 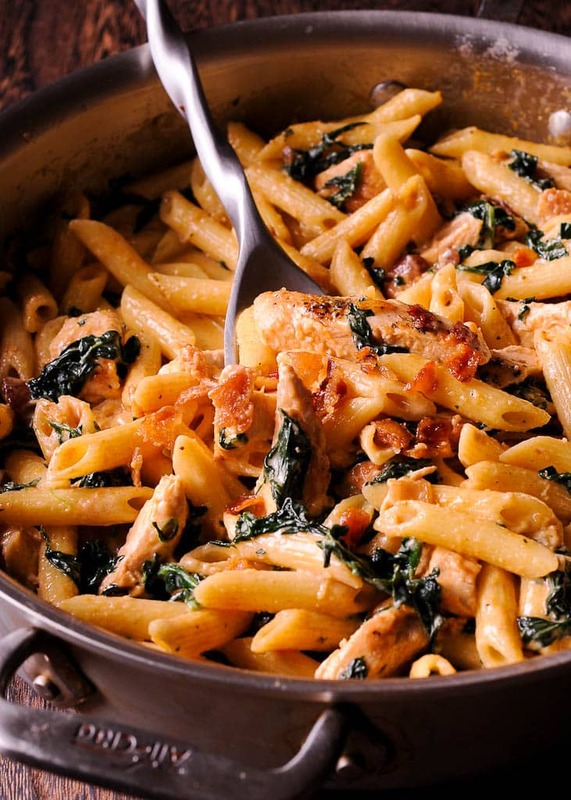 Spicy Chicken Lazone Pasta is a flavorful and easy chicken pasta dinner that comes together in only 30 minutes! 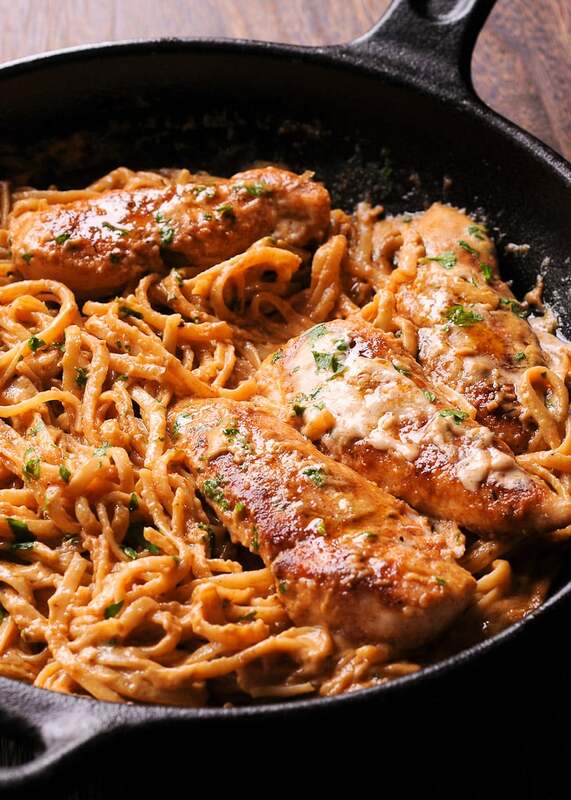 Chicken tenders are pan seared in butter and oil, and then served with a decadent New Orleans sauce over spicy pasta. 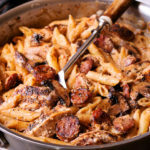 Filed Under: All Recipes, Cast Iron, Chicken Recipes, Main Dishes, Most Popular, Pasta, Popular now! 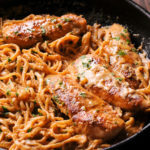 Chicken Alfredo Pasta with Bacon is a 30-minute recipe with easy and DELICIOUS Creamy Parmesan sauce and crispy golden chicken. Perfect and easy dinner your whole family will enjoy! Best creamy pasta dish for your next comfort food craving! Filed Under: All Recipes, Chicken Recipes, Main Dishes, Pasta, Popular now! 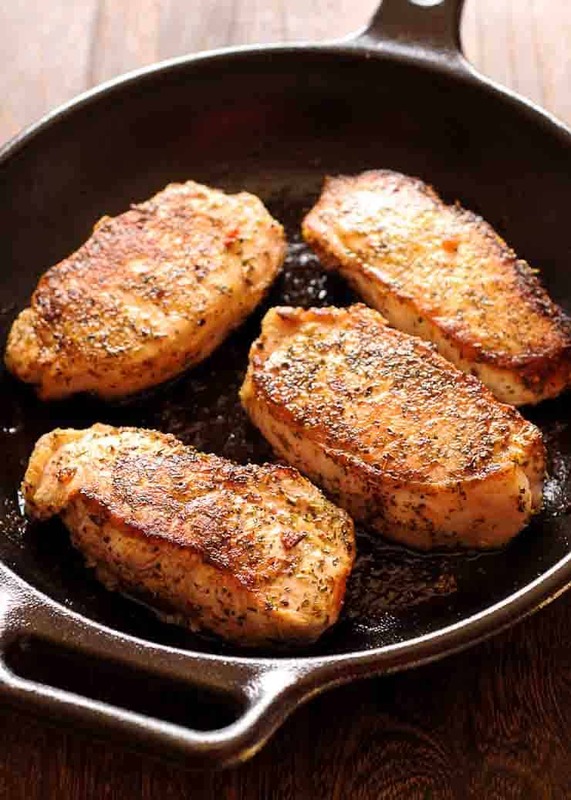 Sweet and Salty Boneless Chicken Thighs is a one skillet chicken dish, prepared in under 30 minutes. 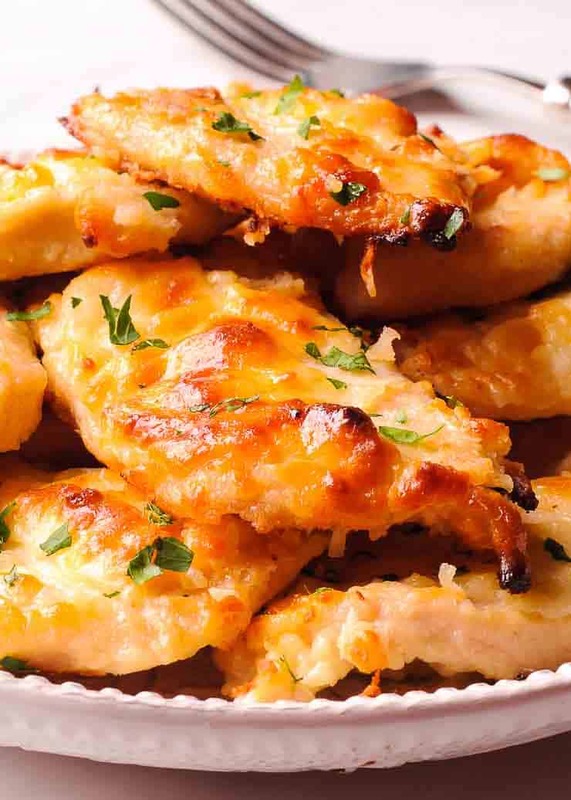 It’s a perfect chicken recipe for a weeknight dinner or when you don’t have a lot of time on your hands and don’t want to spend too much time in the kitchen. 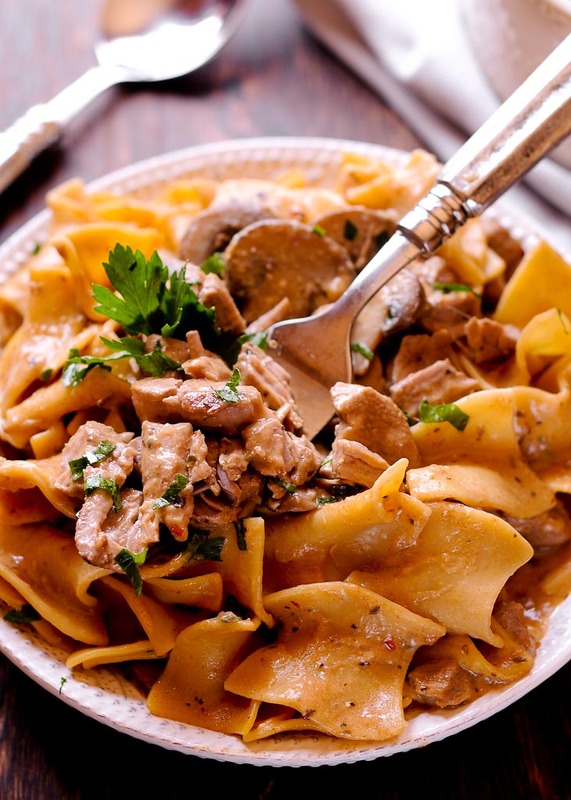 Instant Pot Pork Stroganoff recipe just may become your new favorite dinner to make in the pressure cooker! Noodles are family favorite comfort food and tender pork is packed with flavor! This delicious and easy dinner comes together fast in under 30 minutes.